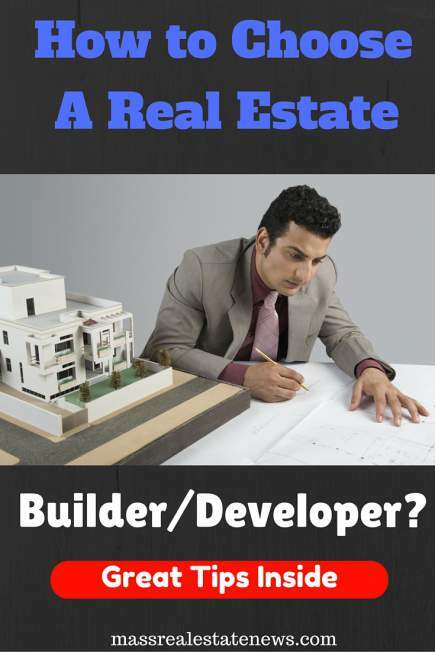 Although real estate is growing by leaps and bounds, you must know there are many unprofessional builders/developers in the game. It makes sense to choose the right developer or builder and here are some great pointers to do that. Before even thinking about choosing a builder though make sure that a new home build is right for you! Realtor.com gives some great advice for figuring that out. In the past few years, the rise of nuclear families, urbanization and growth in household income has contributed in the dramatic growth of the real estate sector. The boom in this sector has tempted many small and big companies to cash in on the opportunity for making money. But that has made it challenging for potential home buyers to choose a good builder. With the less experienced and “profit minded” players in the game, home buyers face delay, unnecessary expenditure, and other problems in the long run. This is one of the reasons some buyers give hold back when trying to decide between new construction or a re-sale home. Since buying a home is the lifetime investment, you can’t afford to take chance with that! Doing some prior research to choose the right developer is rewarding. Here is a checklist you must go through before hiring a real estate developer for your project. Inquiring about the real estate developer is the first and essential step to finding a reliable one you can trust. The more you know about him or her the better you’ll get an idea of their track record and services. You can check on the background and reputation of the builder online or asking the previous customers of the company. Visit the company’s website to know the company portfolio, partners, associates, and history. To know them better, you can visit their sites or ongoing project to check their layout, upkeep and building quality. Consult from the owner of that project about service standards and reliability. Checking financial stability is as important as knowing about the builder/developer’s background. Finances play a crucial role for the success of the project. Lack of adequate funds means either they can delay construction or use inferior materials to cover that. Therefore, your starting investigation must cover the financial status of the company. You can use business reports or ask stockbrokers or bankers to know about financial data of the real estate company. Asking about the sale of units and project success can give you a rough estimation about the company’s financial health. In the case of a joint venture firm, you should research the other company as well. If the company has adequate funds, chances are your project can complete on the time. Having a good background and a strong financial status typically translates into a company having a great success graph. However, having a glance at company’s track record can give you the most accurate picture. Check the delivery time, work quality, infrastructure and management of your developers. Browse through the company’s forums, news reports, press release and property sites. Make sure the builder is the member or linked with their industry association or any self-regulatory bodies. Many of the builders are granted with ISO certification for following the parameters like customer satisfaction and quality. Besides, you can use various online analytical services online to know the ratings and service standard of the real estate developer. Ask the past clients if they are satisfied. A responsible real estate developer finishes the project within the stipulated time frames thanks to his financial backings and commitment. There are many big firms which have poor records of keeping the agreed upon schedule. It is found that the listed firms are better as they are answerable to the company stakeholders, thus are under the pressure to hand over the project on time. The listing of these is itself done by the regulatory body on the basis of their profitability and financial conditions. You can chat with previous customers of the company to know if they are really good at delivering their projects in the agreed upon time frames. Damage of property due to the inferior materials used by builders always makes news. So, you need to pay attention toward the building materials and resources used by a developer. Visit their site or ask anybody working over there about the quality of the materials. Also check the builder’s employee’s behavior and professionalism. In this way, you get the signs of quality in workmanship, practices and materials when you visit these homes. High price quotes can’t necessarily be the sign of the work quality. But more than that, a builder with dramatically lower tender than others can be a red flag. You can easily guess what type of material is going to be used in your property with lower prices. Besides, it shows that they are aimed to make profits rather than focusing on the quality and project completion. Several quotations may include extras charges for which you should confirm upfront. Chances are the costs of certain materials or services may go up from the estimated original quote. Try to figure out the hidden charges which may be included as car parking, community membership and many others. You should ask the builder to notify you in advance about any projected spikes in costs from time to time so that you can adjust your budget accordingly. Knowing the price hikes at the last moment is nothing but a sudden shock! Since real estate is plagued by liquidity problems, builders/developers end up with project destabilization, low sales volume, and drop in demand. You must be extra careful with that. Make sure the developer has provided you all documents regarding land title, authority’s approvals, construction commencement, building plan approval and other information. You can seek a specialized lawyer’s services to understand the terms and conditions and the fine print. Whether it’s big construction firm or small developer make sure you get documentation. If the developer is hesitant to provide you documents, its better you withdraw from the deal. Try to choose a full service builder or hire the one which at least covers all needs, from financing, approval to the construction. A developer with limited and incomplete services, arrange the material and services separately for your project, thereby delaying the work. You can see the list of their services over their website, however its better you ask them face to face. With these above listed checklists, you are on the way to finding the best developer/builder, if done right. Yes, these tips are bit exhaustive and time consuming, but in the end they keep things on track and make your construction project go far smoother. Hopefully these 8 things to consider when choosing a builder/developer has been helpful! 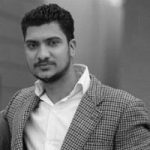 Author Bio: The article is contributed by Rahul Bedi a featured blogger at Huffington Post. He works as an editor at one of the prominent real estate developer NK Sharma Group. He loves to write on Real Estate, Home Improvement and Economy. This is just so helpful. I guess, it is very important that you take the time to understand how the real estate market works. To remain successful in real estate, you may just find that you need to give up some of your other outside passions.